Hookings Mastics Ltd has developed into one of the leading sealant application specialists throughout the UK. 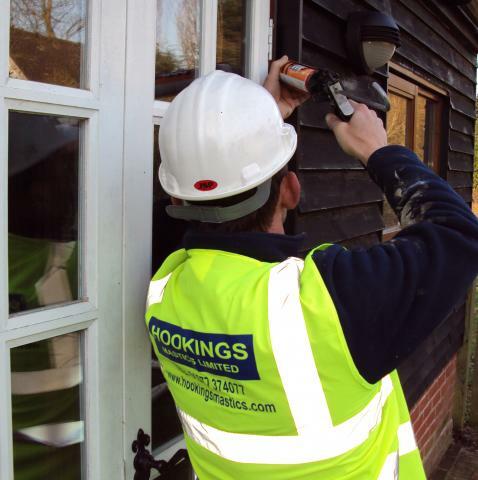 Between the management and staff we have a wealth of experience in all aspects of mastic pointing and can provide a competitively priced comprehensive answer to your entire joint sealing requirements. Our company is fully committed to ensure quality workmanship whilst working in safe environments and we take pride in our unblemished safety record which stretches back to our inception. We pride ourselves on our large database of existing customers whose repeat business is the main stay of our operation whilst we continually aim to attract new customers to expand our portfolio. Our knowledgeable team can advise on the technical direction, joint design, along with the suitable sealant to meet your requirements from planning stage to completion.